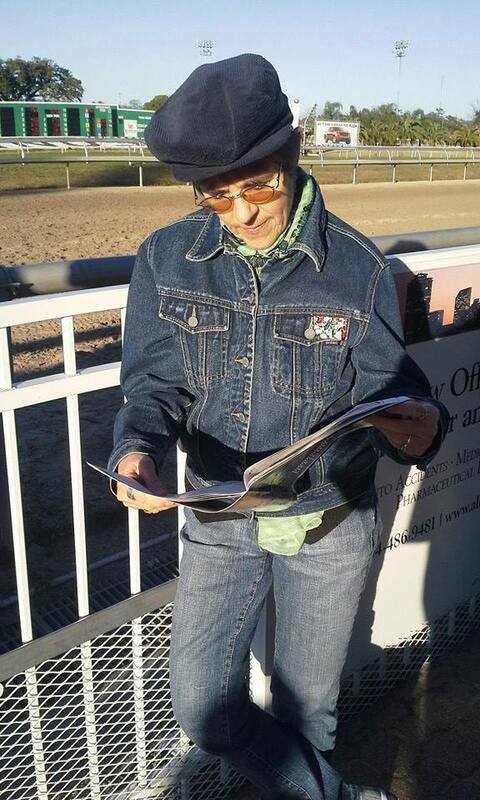 Jane at one of her favorite spots in the city, the Racetrack. 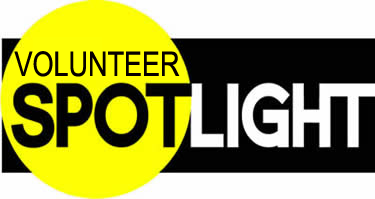 This month, we honor volunteer Jane Trucksis, a true talent in fiction reading. I had a chance to talk to Jane about the art of inhabiting characters, obscure German wines, and the singularity of City Park. For the full interview, check out the recording below! I’ve heard you read a couple of books now where the narrative is first person. What is it like for you to inhabit a character in that direct way when you’re reading for the radio? It’s really fun. Depending on the book, some are easier to get into than others. I find that the ones that have characters who are sometimes young, a little sarcastic, smart alecky, are the easiest ones for me to inhabit. Maybe it’s because I feel like I can do that voice naturally, but other times it’s more of a stretch to do characters that are nothing like my understanding. When I read A Constellation of Vital Phenomena, which was a very complex book, I’m really glad I read it twice because the first time through I could barely follow it. The second time through, I thought, all the pieces are coming together, and that was challenging because I didn’t have anything in common with any of these people. There was one main woman character [and] I really started to feel like I was voicing her. And so I learned more about the characters as I read them and said, oh maybe this is part of my personality that I just wasn’t aware was there. But I do love inhabiting the characters. What’s the book like that you’re reading right now? Right now I’m reading Kitchens of the Great Midwest, which is very hard to summarize, this book. It’s centered around a woman named Eva Thorvald, who is a child of a cook who ends up dying and is raised by her father’s brother, and has the cooking gene in her. She just has a great desire to cook and loves food. It’s about her interactions with the world, and all the different people she meets. There’s a little bit of magical realism in there, but there’s a lot of people in there who interact with her and they’re all really different, so I have a lot of fun reading all the different characters. Some of them are very negative and bitchy, and it’s fun to do those people – it’s so much fun to do nasty stuff, because you can put so much oomph into it. It’s also fun because you’re trying to be that nasty person, but you want people to know that you’re not really approving of it, but that this is what this person is like. So I really like trying to be those characteristics that the author is trying to put across. 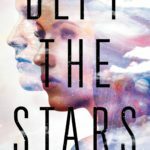 Are there any authors you’ve read here or for fun that you’d like to meet? Marilynne Robinson, who wrote Housekeeping and the one I read [on air], Lila. She would be very interesting to meet because I saw her picture on the jacket and she looks like a very severe, serious person. Her books are serious, but I was really taken by – something about her style – she gets into the character, but she describes the natural world in an amazing way. The way you just feel the water, and the ground you’re walking on, and the coldness in the air. I guess I’d like to find out what it’s like to talk to her in person and see if she can kind of give you that same sense of connection to the earth. You know, I’m not an earth mother type at all – I’m very much of a city person – but when I read her book, I almost felt like a rural person. She made me feel that connection with the soil and the places and the country so well that I would like to see whether that’s a real part of her, or whether that’s not like her but that’s just the way she writes. I think the authors that I read, a lot of times they’ve been real revelations to me, because I don’t think there’s ever been a book here that I was offered to read that I’d read before. They’re always things I’d either heard a little bit about this book, but most of the time I’d never even heard of them. So it opens whole new worlds to me too, like, oh wow, what a great author, I’ll have to read some more by this guy. I remember I was talking to Ellen Hazard, another one of our volunteers, and she said she never likes to pre-read books. She likes to be surprised and just get into them as she goes. I like to pre-read so I can prepare myself for any kind of unusual words or pronunciations, but I do like the fact that I come here, and it’s like, here’s a present, here’s a brand new book that you never heard of, so I never really thought about any book that I love, reading aloud. I never thought about that – I guess I like the fact that I’m learning something new, and now I get to deliver something brand new to me, and bring that to other people. In the book I’m reading now, as a matter of fact, at the end of the book, there’s an extensive menu for a special dinner. I wanted to make sure I had the pronunciations for all of the food right, so I practiced them to make sure I say them right. Then they had a wine list, and I work for Martin Wine Cellar, so I’m familiar with the names of wines but some of them are very complicated, and they mention a German wine, which is Trockenbeerenauslese, which I wasn’t sure how to say, so I checked with somebody at work. I practiced the word a couple of times, because I want to make sure when I get to read it I don’t stumble over it. If someone took up residence in your house and replaced you, what advice would you give them about living your life? I would say, make sure you get outside as often as possible. Take advantage of the outdoors. Ride your bike, walk, go places, don’t ever become a couch potato. Just go out. Be outside. Do you live that advice? Pretty much. I like to be home at night, you know, I’m not out at 3 in the morning like I used to be [laughs] but I love being outdoors. I think it’s one of the great things about New Orleans. In the summer it can get kind of hot, but you’re never homebound like you are in the Midwest [sighs and laughs]. You can be outside all the time, and it amazes me. I ride my bike in the summer every day after work, and I love it. It’s just a great biking city – I mean, it’s flat! There’s this beautiful bike path along Bayou Saint John, and I ride that path some days, and I’m the only person there! And I’m thinking, where is everybody? Why isn’t anyone taking advantage of this beautiful path, with the scenery and the mild weather? Why aren’t people doing this more? I’m no athlete, but I like to be outside and just enjoy nature. I guess that’s why I want to talk to Marilynne Robinson – she really nailed the nature thing. I think having grown up in Chicago, if people were to come down here from Chicago and ride that path, they’d say, where is everybody? Because it would be a jillion people on it if you were in Chicago. There’s so many people there, and maybe they like to get out because they have so narrow a frame to be out, but they have a path that goes along the lakefront and it is jam packed to the point that you try to cross it, you may have to wait 10 minutes because there are so many bikers and joggers and strollers and skateboarders. Here, you feel like the city is your own, so people have to really get out there and enjoy it – take advantage of it. I’ve always said if I had to leave this city, I would miss City Park more than any place here. I’m not going to talk about activities, but in terms of a place, my heart would ache if I had to leave City Park, because it is just so spectacular. I go there everyday. What’s your favorite part about City Park? The fact that it’s as big as it is. It has areas that are very popular with things going on – affordable, fun things – but then there are other areas that are so remote, and just feel wild. There are sections by the Couturie Forest, where you can go off the trail and you can feel like you’re in the middle of nowhere. It is so peaceful – it’s truly like being lost in the middle of the city. I like how it’s just so vast and so relaxing to be there, and what’s the word I’m looking for? Fulfilling. I go there, and I never come back from a bike ride or a walk without this sense of…it fills my spirit with beauty. That’s obviously why I want to talk to Marilynne Robinson – I see this now! I know that you lived in California for several months after Hurricane Katrina. If you could bring one thing from your life in California to New Orleans, what would it be? I wouldn’t mind bringing back Big Sur. Big Sur is pretty amazing! Just the beautiful roads along the water, and all the spots where you can walk down to the sand, and you can see the rock formations, little areas of the road where they have cafés, coffeehouses, restaurants. Yeah, I wouldn’t mind a piece of Big Sur here. That would be nice. Could you describe your ideal live music experience? I think what I love about live music in New Orleans is that I can’t say that I really go to big shows at the arena. I’m sure they can be really good but I’m kind of stuck on the club scene. I like the fact that you can go to a bar and hear a band, and you can be right up there in front of the stage and see the musicians, watch what they do, interact with them. They come off the stage, you can ask them a question about a song. There’s not that sense that they’re divided from you. I’m not saying everybody’s friendly, but most of the guys are very happy to talk to you. I like the fact that I can stand up there, sometimes right in the front, sometimes-halfway back, but I really feel the music is very present. It’s not like the audience is here and the band is there. You’re all together, and you can just feel the music pulsing through you. It’s also quite affordable to go hear music here. It’s accessible. I can’t say that I go to a lot of different places but I have my special places that I go to, that I always love going there. I just love the way that you feel the music is just pounding through you, and everyone around you is feeling it too, and you can tell they’re having a good time. I mean, of course they’re there to make money, but you can tell they’re really enjoying the crowd, and we all just get into it so much. I’m sure it’s like that in other cities too, I just didn’t find music as accessible in other places – it felt like you had to pay a lot to get in, or there was a huge division between the band and the crowd, and it’s not like that here. And it’s sounds like it’s more of a communal experience for you than an individual one? Yes, although I have gone to shows where I didn’t really talk to anybody in the crowd because I was just there to hear the band. You can talk to people if you want to but you don’t have to. The fact that I’m not necessarily talking to the people, you know they’re feeling it along with you, or you can see other people in the crowd singing along, or just moving to the music, so you do have that sense of a shared vibe.